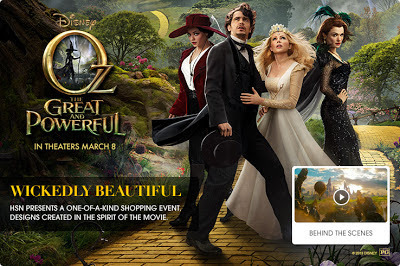 When I heard that Disney had partnered with Home Shopping Network to promote the Mouse House's new movie, Oz The Great and Powerful, I was intrigued. The two companies have collaborated in creating 400 fashion and home decorating items inspired by the film to sell on television March 1 - 2, ostensibly aimed at women ages 35-54. So, what could the creations look like? Well, let's just say, "We're not at Nordstroms anymore, Toto." Here. Take a look for yourself. Well, those scale loafers by Steve Madden are pretty bad, but I guess they kinda fit the theme, right? 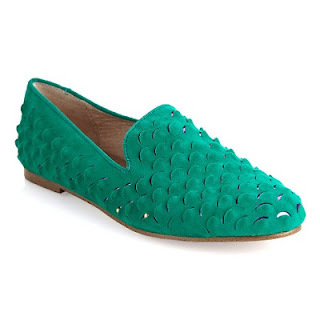 They're emerald and kinda scary. They're named after Mombi and she terrified me as a kid. OK. Maybe things will get better. 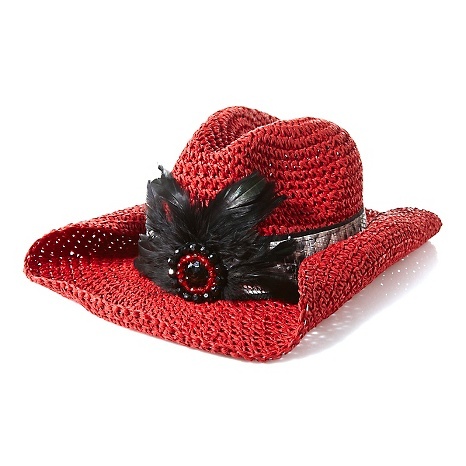 Erm, is that a crocheted cowboy hat... with feathers? Oh my. 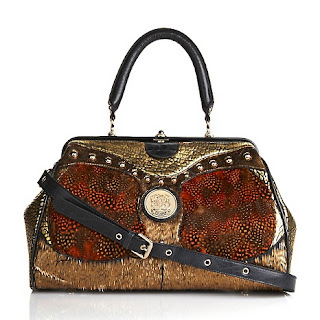 It has a faux snake skin band? Well maybe it's just an aberration. Things could get better. Nope. 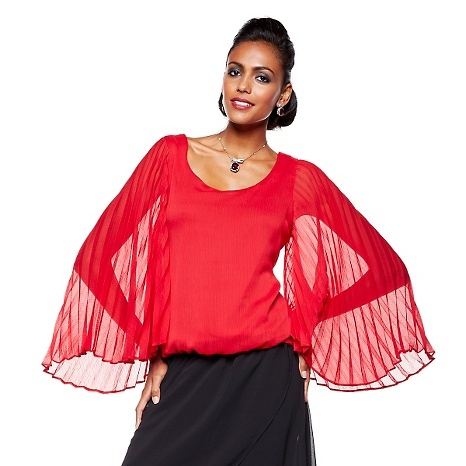 No, things are definitely not getting any better with this pleated sleeve top. It looks like something a 70s era crossing-dressing Superman might wear to a disco to fight crime. Are people supposed to actually wear that sucker? Maybe the higher end items are better designed. ARE YOU FREAKING KIDDING ME? This chimera-like purse is $549.90? Is it made from a real gryphon or something? Quick, let's find something else! Oh. 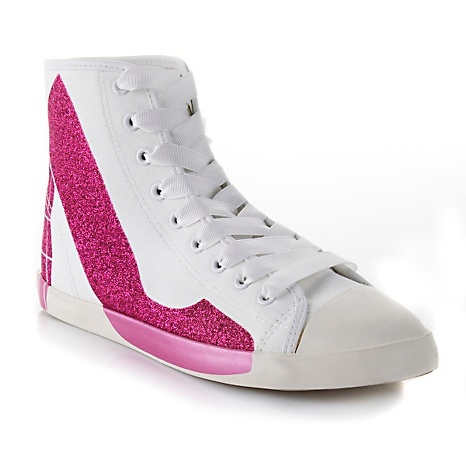 High tops with a glittery pink heel painted on the side for those times you want to look classy while playing basketball. This makes total sense. We've moved into bat-crap crazy territory. Ah, from bats we're moving on to blackbirds. Great. Now we have the perfect feather skirt to wear to the opening night of The Crow remake. But what top could I possibly pair with it? THE FULL FEATHER CAPE?! HOW MANY OCCASIONS CALL FOR A FEATHER CAPE? Oh. My mistake. You can totally pair this with jeans for a dress down look. So, what do you guys think? Will you be shelling out the $300 for the feather cape? Well, I actually like the pleated blouse, but then, I'm on a retro-kick. The feather cape would be cool if one were trying to dress like Bowie as the Goblin King in The Labyrinth. I admit...I totally dig that feather skirt. But the person who wore the feather cape would be my hero for life! LOL Yeah, the feather skirt's cool...but the high-tops just made me crack up laughing. I can see the allure of the feathered skirt, but you'd have to stand the entire time. I can just imagine the bent-feathered look on your backside if you didn't. Hey now, some of the feathered pieces would have been perfect...for my Poe's The Raven Halloween Costume.